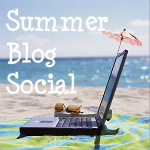 I’ve taken another of the Summer Blog Social prompts for today. I’m looking at things from a different point of view to yesterday’s post, which covered starting out as a blogger. Today I’m exploring some of the things that I look for as a blog reader. I spend a lot of time reading blogs. Probably far too much time, actually. There are a few things that I’m particularly drawn to. I come to most blog posts via either twitter or google reader. Without a doubt, the most important thing is the post itself. If I enjoy that, I’ll click through to the main page and start to look around. :: A clean, uncluttered style. :: Dark-ish text on a light-ish background. :: Lovely headers and great design (I’m ridiculously envious of people who achieve this one!). :: Sidebar(s) at one side, preferably the right, with everything in a reasonable order. :: Design elements (social media icons etc) that follow through in the style of the blog. :: Pictures that complement the posts. 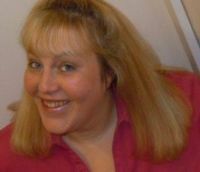 :: I love to know a little more about the blogger, and I’ll often read the ‘About Me’ page if there is one. If there are other pages, I’ll go to those if there’s something there that sounds interesting. :: I also like to see a ‘top posts’ bit on the sidebar. I like to know the other posts that readers have enjoyed; they’re often a great place to start. :: Blogs that are difficult to comment on and don’t allow sign-in with a plain old dot com address (without a blogger or wordpress.com profile). So many times, I reach the end of a great post and have something to say and find myself unable to join in. :: Distracting styles and backgrounds, including things like sidebars at both sides and really busy layouts. :: Pop-ups and strong sales pitches for things I don’t want to buy. Hey, you are my girl. I like, dislike exactly the same things. And talking about dislike, just a minute ago I wrote my comment, clicked submit and it wanted me to sign up for an application I have no use for (and I already have a WP, Google, FB and Twitter profile), so I didn’t comment. Sigh. Another thing I like is the ‘you might also like’ but unfortunately I can’t do that with my blog. So frustrating – particularly when I’ve actually taken the trouble to write the comment already – I really should remember to check that before I even start thinking about what I want to say. I do not like clutter as I get quite anxious about that mess. I love the sentences separated and not too many together. Easy to comment or I will not do it. I’m always in a hurry. I like to have a conversation with the blogger. I like when they take the time to visit my site, as well. I’ve just begun to realise the thing about separating the sentences and creating really small paragraphs. Seems easier to read online that way. That’s something that’s really different to the way that I write for work, and it’s part of the learning curve of moving into blogging. I think this is the one thing that comes up over and over when anyone talks about their difficulties with reading blogs. I guess it must be that people are so anxious that someone might post something offensive or spammy, but those things are so easy to clear up afterwards (and I’ve never – touch wood – had anything really bad on my comments). I am really bad about including photos. I know they are heavily suggested, but I rarely do it. I admit that’s a downfall. I won a two-week subscription to a photography stock site, and that really helped me to find pictures to fit posts. Flickr’s also really good for finding pictures to use. It does add a bit of time to creating a post, though. And again, it’s about remembering that the most important thing is to write! I get so frustrated when I can’t figure out how to comment. Me too – there are some setups that seem as though they’re designed to keep commenters out! I feel quite sorry for those bloggers, though. I’m sure that they must be wondering why they don’t have many people commenting. Speaking of leaving comments. One blog I read regularly restricts the length of comments. Of course I never remember this ’til after I have written the comment, so then I have to downsize it or split it into two. Another pet peeve is a blog that takes too long to download. Also blogs that have so many buttons, memes, photos and adverisements that I have difficulty finding the content.